If you could pick just one simple supply to have on hand for a family reunion, what would it be? For me it would be sidewalk chalk. 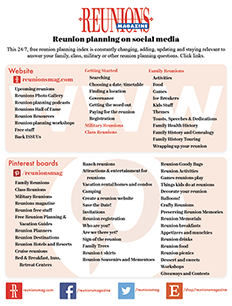 Here are some of the things we’ve used it for at our family reunions. Draw a family tree on the driveway or the parking lot of your reunion venue. Give each branch of the family a different color chalk to add leaves for their family members. 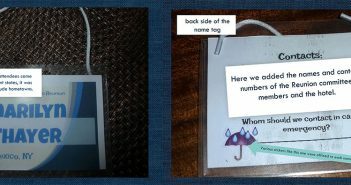 Adults and school age children can write their names on the leaves. Big brothers and sisters can help their younger siblings. Draw a time line. Mark off years before guests arrive to make it visually accurate. Have family members write their names in their birth year. When multiple people have the same birth year, just stack the names. Make a height graph. Kids love the idea of lying down to be measured, but take a yardstick to measure grown-ups who might not be as enthusiastic about lying down. Be sure to measure babies, too, so the next time you get together you can see how the graph changes. In addition to taking pictures of chalk activities, you’ll want to take pictures of all the folks in front of some silly 3-D chalk pictures. Artistic adults and even older kids can create backgrounds. 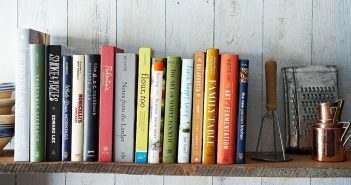 Even if your event takes place in Kansas, you can make it appear that the family has gathered beneath the shadows of the Eiffel Tower or on a beautiful beach in the Bahamas. The secret to making the drawing look 3-D is using contrasting colors directly beside each other. Check the website of Julian Beever (http://users.skynet.be/J.Beever), a chalk artist, for ideas. Draw out a hopscotch play area and you’re sure to draw a crowd. Seniors will be eager to share memories of their playground strategies. 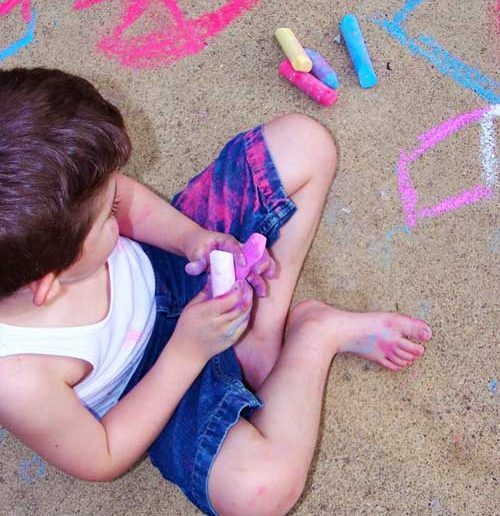 Small folks will love being introduced to chalk games that have survived through centuries and still are played around the world today. Grown-ups take horseshoes seriously and the clang of metal often reverberates at reunions. Mothers warn little ones to watch from a distance. 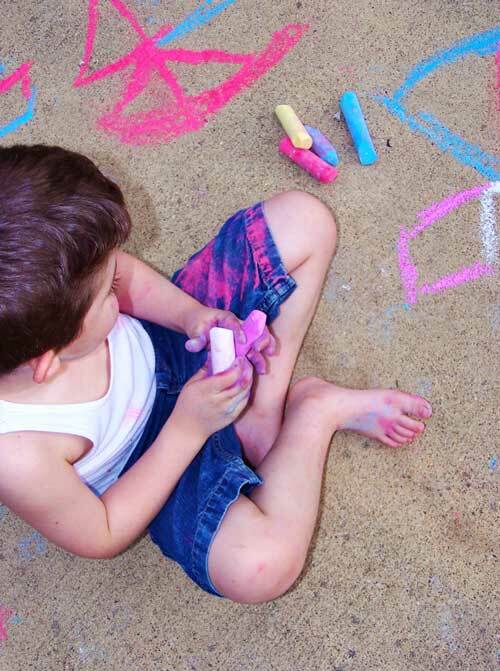 Sidewalk chalk makes it possible for children to play a similar—but much safer—game. Draw a target on the concrete or blacktop. On the chalk target, write the number of points earned for the bullseye and each outer ring. Provide bean bags and let the fun begin. Long jump: Use your chalk to record the distance covered by each contestant. Balloon toss: Safer and sillier than a shot put. Balance beam: A chalk line drawn on the drive is the “beam.” The goal is to do the fanciest trick without stepping off. Soccer slalom: Draw colored circles like slalom markers for your contestants to kick a soccer ball around. Time the results. For the crime scene, the kids lie on the sidewalk or blacktop while grown ups or older kids draw around the kids’ bodies. Teens love to add gory details (tattoos, blood). Younger kids will be entertained for long stretches of time if they are given the chance to draw clothes on their picture people. Before you spray away the memories of the day, wet down a new area of the concrete or blacktop. Let guests “paint” with their chalk. The results may seem almost as magical as your reunion has been. Ellen Javernick is a second grade teacher and author from Loveland, Colorado. Her most recent picture books are The Birthday Pet and What If Everybody Did That. She’s the proud “Grams” to 10 grandchildren. Next Article Are we there yet?